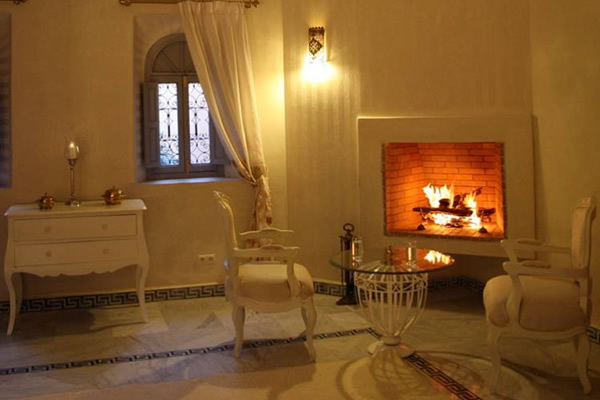 The Ksar Anika is tucked away in a peaceful part of the Mellah area of the souk and hugs the wall of the Bahia Palace. 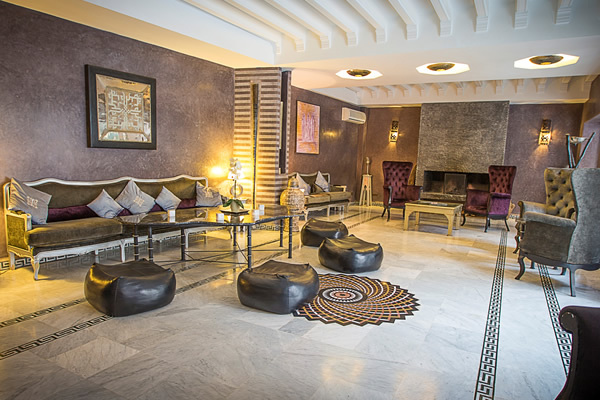 The famous Djemaa el Fna square is only a 15-minute walk away making this an ideally located riad from which to experience the best that Marrakech has to offer. 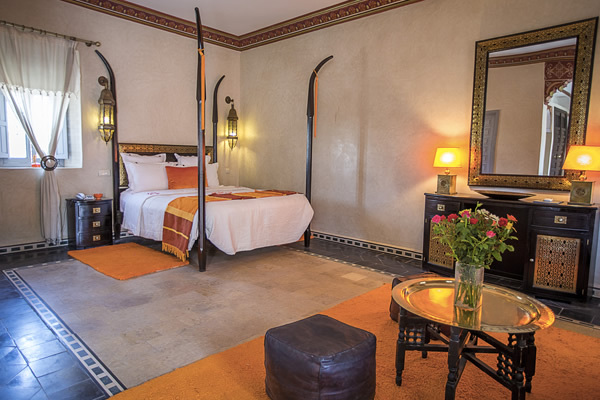 The riad takes inspiration from in design from classical Moroccan architecture and furnishings with splashes of modern luxury found in parts throughout and the riad embraces the use of natural light. 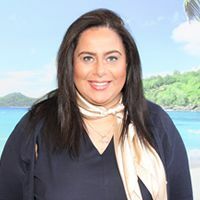 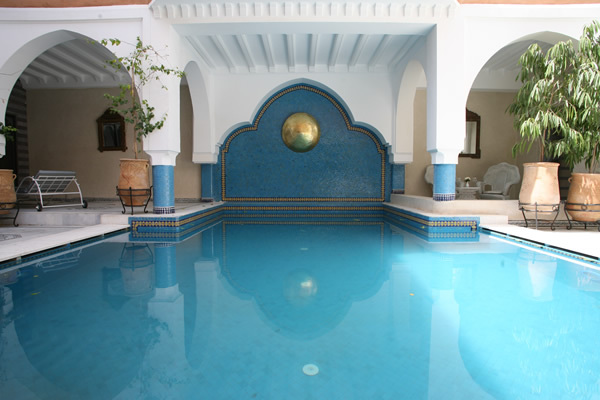 There is a pool in the centre of the courtyard, a panoramic roof terrace, many private areas for reading, sunbathing or just being and a spa area offering traditional massages and beauty treatments with a hammam. 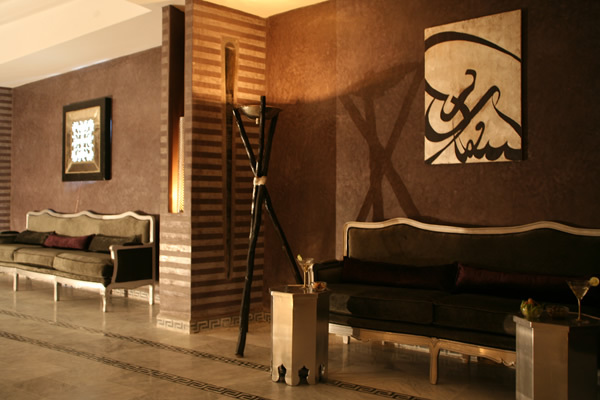 There are no TV’s in the rooms however there is a private cinema rooms with an extensive library of DVD’s. 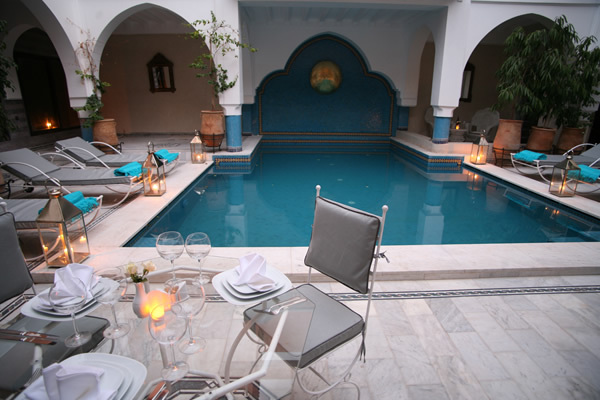 Guests who wish to have dinner at the riad place their order with the chef in the morning before his visit to the market to purchase the necessary ingredients, ensuring that the dining experience is fresh and exactly as ordered. 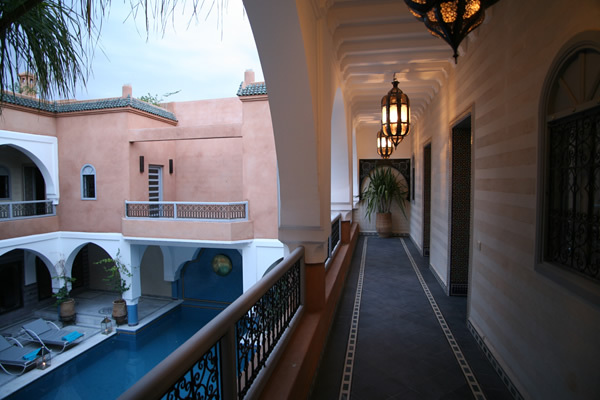 There are 17 rooms and suites at this riad. 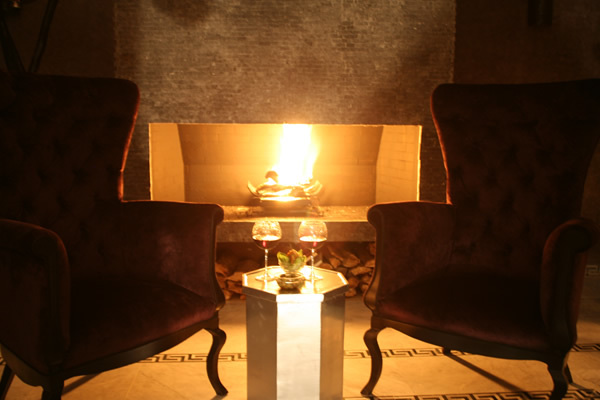 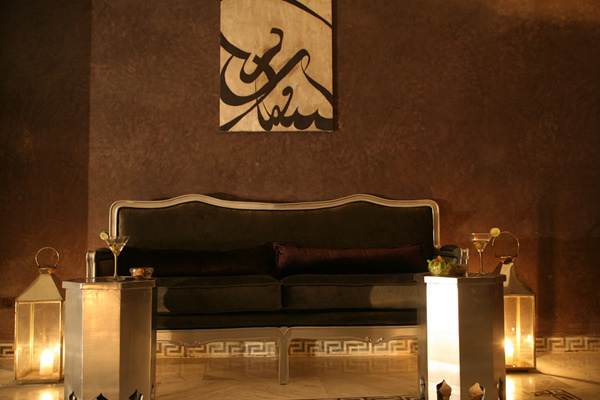 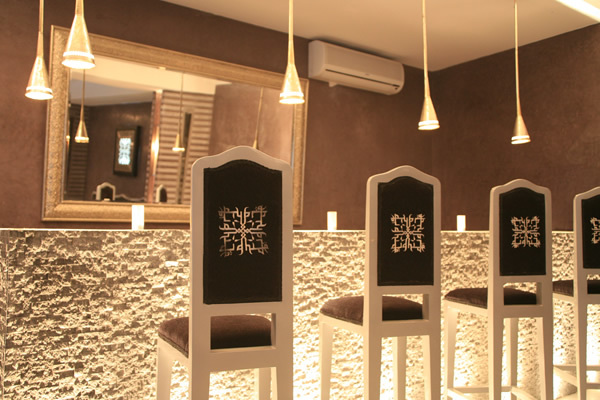 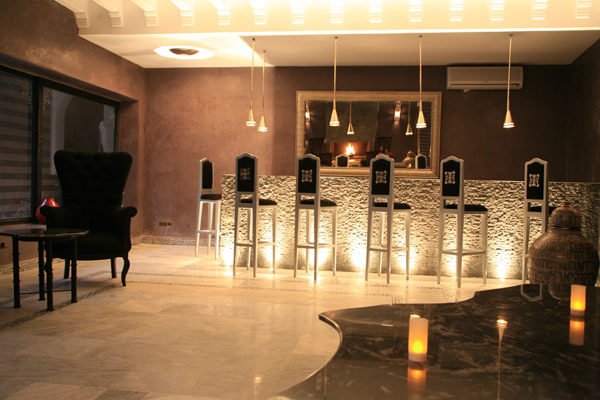 All rooms and suites are classically Moroccan and feature airconditioning, mini bar and safe. 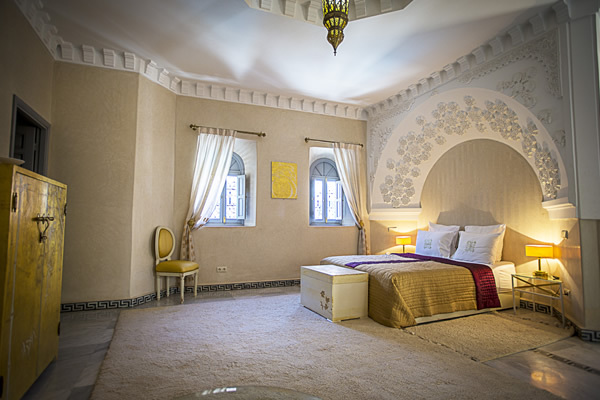 Most rooms also come with a television.